This was Kyle Friedel’s First Year group which started in 2011 and graduated in 2018. Of these 16 boys (plus 2 more who weren’t in the photo), all 11 who stayed with the program made Eagle!! The incoming First Year Scoutmaster (for boys starting in 2019 who are generally in 5th grade now) is Andy Biancardi. His email is fysm2019@boys.troop890.org or andrew.biancardi@gmail.com. The next First Year Scoutmaster (for boys starting in 2020) is Brian Ferrell. Mr. Ferrell is referred to as Mr. Ferrell, or the First Year Scoutmaster “Shadow.” His email is fysm2020@boys.troop890.org. The FYSM (for boys who started in 2018 and are generally in 6th grade) is Jeff Nicodemus. His email is fysm2018@troop890.org. Most boys enter the program at age 11, generally during the spring of their 5th grade year. But they can join at any time. 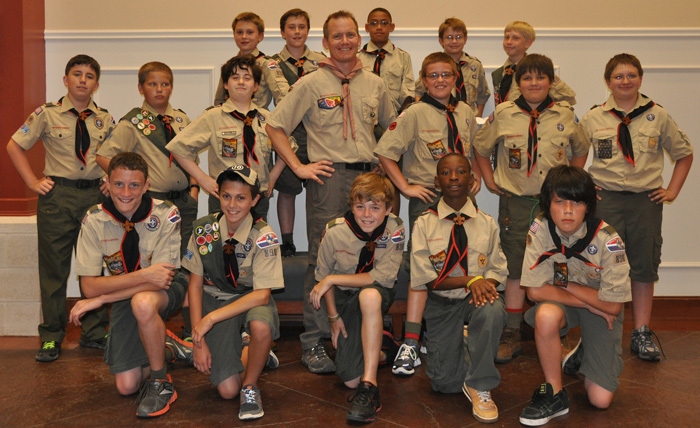 We sometimes have boys enter the Troop as late as 9th grade and still earn their Eagle Scout rank. Decades ago, Troop 890 started a “First Year” program which continues to this day. It is a somewhat unique program that not many Troops use. The goal of the First Year program is to help new boys gain the skills and confidence to advance to First Class rank by May of the year following their joining. A key to the First Year program is that, for each First Year Group, a new and different adult accepts the task of being their First Year Scoutmaster until they leave Scouting. In many cases, the boys stay involved in the Troop in some way until they graduate from high school. In recent years, we have achieved almost 100% success rate of boys who are still active in the Troop achieving the rank of Eagle Scout. All First Year Scoutmasters (FYSMs) are hand selected based on their experience, temperament, and willingness to commit to the job. All FYSMs must attend BSA’s Wood Badge training course to make sure that we are all trained to provide the Scouting program the way it is meant to be. Webelos II Cub Scouts and other 5th and 6th grade boys are encouraged to visit our Troop at our annual Olympics Campout in late November. Details can be found under the Olympics Campout page. Following that campout, most boys visit a Troop meeting in December or January, the Cubs “cross over” into the Troop in the January-February time frame, and then the journey begins! Their first campout with the Troop is usually the Camporee in late March. We have a Summer Camp Orientation meeting for the parents in April to review all of the necessary forms, what to expect, gear to bring, and hotel accommodations for the Friday night festivities. We discuss the overnighter that the boys will be doing on Wednesday night during summer camp. In April or May, we usually have a field day or overnighter to work on rank advancement and have some fun. At Summer Camp in June (almost always the 3rd full week in June) the boys participate in the Brazos Buccaneers Program which is a Trail To First Class program. 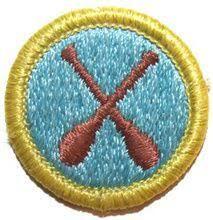 While at camp they work on Swimming and Canoeing merit badges. 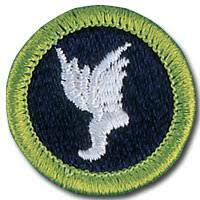 After summer camp and by the September Court of Honor, most of the boys will have earned the rank of Tenderfoot. In July most boys will being participation in the CAPS program, culminating with the Iron Eagle Triathlon on Labor Day (200 m swim; 1 mi run; 25 mi bike ride) and the Waco Wild West 50 miler in October. Participation in CAPS will earn the boys four additional merit badges: Cycling; Athletics; Personal Fitness; and Sports. We usually have another Field Day in August to finish up Canoeing Merit Badge and other requirements needed for Tenderfoot. During the fall we participate with regular Troop activities and campouts. We will work on additional rank advancement as well as offer makeup opportunities for those that could not make all of the scheduled activities. We will have another campout just for the First Years in early December. The main purpose of this campout is for rank advancement and have a lot of fun. The goal each year is to have substantially all of the boys to Second Class by the end of December. If all goes as planned most of the boys should attain the rank of First Class in May of their second year. After a second summer at Constantin, where they will usually earn another 3-5 merit badges, and an active fall, they can easily advance to Star (which will be within 2 years of their initial joining date). After earning Star, they will have a minimum of 1 year before they can advance to Eagle. If there are any questions that have not been answered, please contact the First Year Scoutmaster. This parent has taken on the responsibility of organizing the First Year activities for the current year and will be your son’s primary contact with the adult leadership of the Troop throughout his Scouting career.